I’ve been following the wisdom of Anton Kreil for years now, and this former Goldman Sachs trader knows his stuff, whether it be trading or about the truths of the financial industry. In this video, which is a “Month in the life” of Anton Kreil, he reveals a lot of wisdom about succeeding in life. He talks about a person’s relationship with money, about what type of person you need to be and as well about how the government, educational system and the media are all against you. This video just uploaded last year 2012, so the content of his view and predictions would be for this year 2013. Let’s see if Rosenberg from Gluskin Sheff’s is correct, there is 6 months to go until end of year. More and more money printing to quantitative easy /QE 99. America is the only country that can cheat the world and call themselves the “richest nation on earth” because they print money out of thin air. It is incredible that the U.S can be in over 16.5 Trillion dollars in debt and still consider themselves the #1 economy. This review is both about DVD 4 of Timothy Sykes PennyStocking stock trading program as well as a review of the whole course content DVD 1-4. I will fist talk about DVD 4 and then about the overall quality of information of the entire course. In DVD 3 of the Tim Sykes PennyStocking trading course, he again goes into details about who he is and how he came to be know as the “Barmitzvah Kid.” He re-iterates the fact that he took his $12,415 Barmitzvah money and turned it into 1.5 million dollars in like 5 years. Timothy then goes into some detail about some rules he has learned the hard way, and that viewers of DVD 3 of PennyStocking can benefit from these rules which are a result of his mistakes. 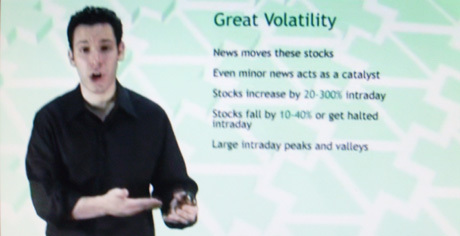 In the second PennyStocking DVD by Timothy Sykes he continues to go into how he reads or interprets stock charts. Tim walks you through play by play pattern views and shows you what events happened where. Sykes doesn’t like to play penny stocks with messy charts, and he basically tells the viewer to stay away from stocks with messy charts, until they clear up. Here’s a quick review on DVD #1 of Timothy Sykes PennyStocking DVD Course. Disclaimer – Tim Sykes quickly describes that the PennyStocking DVD course is just for entertainment and educational purpose. However he goes to mention of course, that he is ultimately not responsible for trading losses. 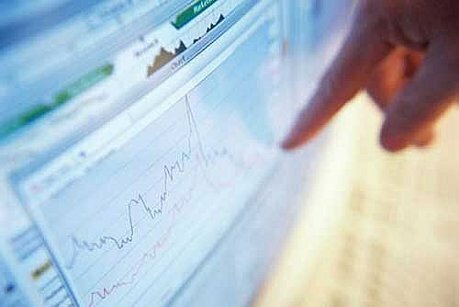 Below are a set of links to videos which teaches you the basics of “Trend Trading.” Given the fact that some economist in the U.S are saying that the recession has bottomed out, it may be a good idea to learn and train yourself to be a better trader when the slow recovery comes around. Even in this current environment, there is still some money to be made by the volatility. Here is the last video of the Trend Trading video course. It will introduce you to the basics of shorting stocks or options. Basically, shorting is a situation or strategy for when you think the underlying stock of a company is going to go down in share price, instead of up. Click on PLAY to watch…below. Knowing when to play the gaps for trading stocks and options is the subject of this Part 5 of the Trend Trading video trading course. This is a good video for beginners to learn how to make money with gaps, and how to identify and profit from them. Click on the PLAY button on the flash player below to begin the video. This is part four of the Trend Trading course, in this video the focus is on the psychology of trading, which is key to success in trading. A lot of knowing when to buy and sell depends on watching the charts and news, and managing your emotions. You are currently browsing the archives for the Video Trading Courses category. Consider Recycle Your Old Computer, E-Waste Today!